Transfer from Bagdogra airport to hotel. With options to stop at local attractions along the way. Overnight at Gangtok. After breakfast visit to the World famous Rumtek Dharma Chakra Centers Monastery, situated 24kms from Gangtok. This is the headquarters of the present seat of His Holiness, the Gyalwa Karmapa, Head of the Kagyud Sect. This Monastery is said to be replica of the monastery at Tsurphu, Tibet with its traditional architecture, exquisite paintings, intricate wood work, housing treasures of manuscripts and icons. 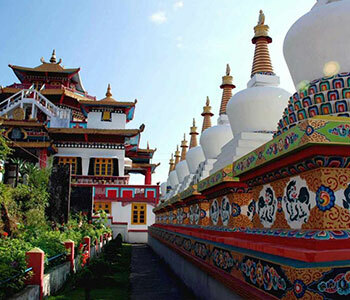 Rumtek is a splendid example of Tibetan monastic art. On the way back visit Do-Drul Chorten Stupa: An awe inspiring stupa, encircled by prayer wheels which you may spin while walking around, clockwise only, to offer the prayer “ Om Mane Padme Hum Re”. 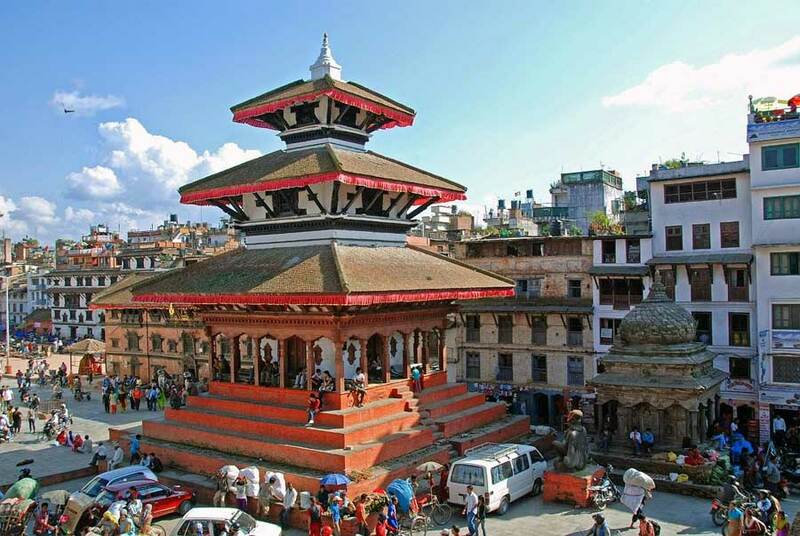 Nearby, simple housed are two giant statues of the Lord Buddha and Guru Padmasambhava. Tibetology: A unique institution devoted to Tibet logy the only of its kind in the world where is displayed perhaps the largest collection to Tibetan artifacts outside Tibet. After lunch visit Govt. Institute of Handicrafts Cottage Industries: this place you can buy local handicrafts such as carpets, woodcarvings or nick-knacks. You may also see the artisans at work. Flower Show at White Hall: Specimens of Sikkim’s famous Orchids and other flora. Driver provided and options are flexible for sightseeing during the day. Overnight at hotel. Drive from Gangtok to Yuksom. With options to stop at local attractions along the way. Overnight at Yuksom hotel. Yuksom (1760m), a former capital of Sikkim, is now no more than a village on a plateau with commanding views of southern Sikkim. It also marks the entrance to the Kangchenjunga National Park. The trail heads north entering an oak and pine forest high above the Rathong River. The trail is well defined, with substantial bridges crossing the side rivers. Apart from one small clearing, there are no settlements en route. Just beyond the confluence of the Rathong and Prek Rivers (the latter conjes from the Gocha La) the trail descends steeply to a substantial bridge. 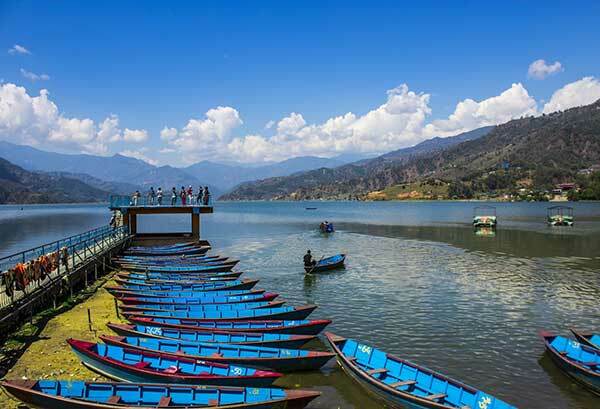 There'follows a 600m ascent to the small settlement of Bakhim (2750m), occupied by a family of Lepcha farmers. 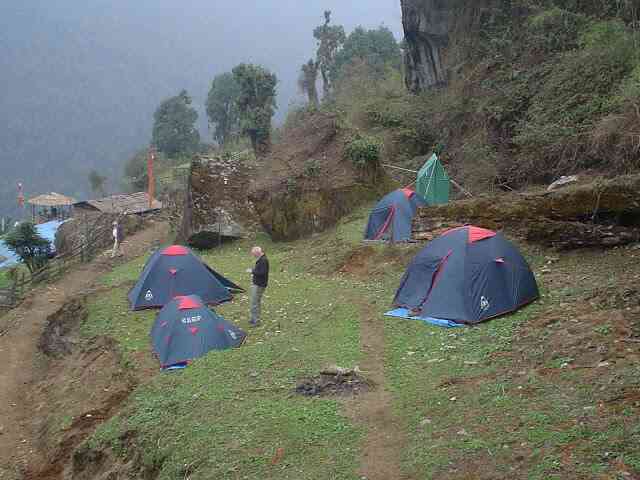 There is a Forest Rest House and a campsite, complete with a small spring, just below the settlement: From Bakhim, enjoy commanding views down the Rathong Gorge to Yuksam. After breakfast drive to Darjeeling. Transfer to hotel. After lunch visit the Himalayan Mountaineering Institute, Padmaja Naidu Zoolofial park etc with option of visiting other attractions with driver. Evening free to stroll around Chowrasta Mall. After breakfast drive to Bagdogra Airport for your onward journey, with options to stop at attractions along the way.